Orange Crush. It's the name of a soda and it's also the name of the famous Denver Bronco's defense from the late 1970's. As to how it relates to this image?. Well most of the time aspen tree's in Colorado and Rocky Mountain National Park are going to turn yellow in the fall. On rare occasions some aspen tree's may turn orange or even red. I found this particular group of beautiful orange aspen leaves near Hidden Valley and Trail Ridge Road. It was still early in the fall season and it had been raining all day in Rocky Mountain National Park. As I was driving back down Trail Ridge Road a burst of orange caught the corner of my eye. 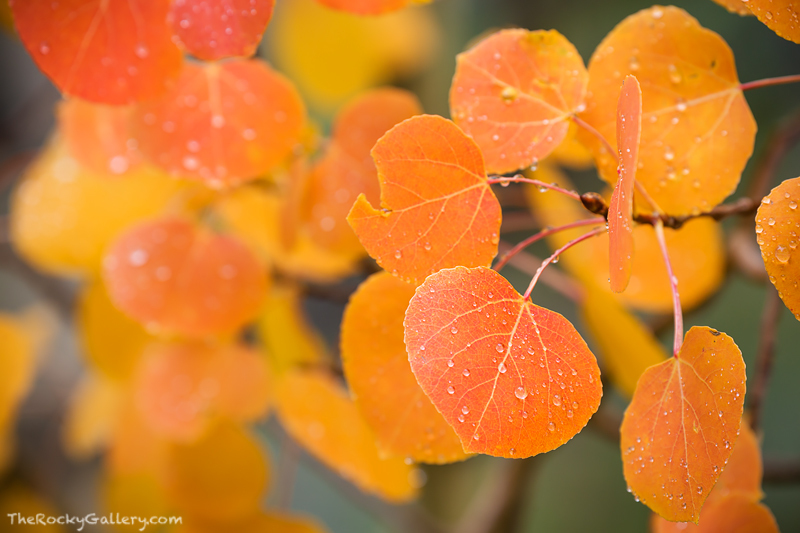 I found a place to park along Trail Ridge Road and hiked back up to photograph these beautiful orange aspen leaves. Photo © copyright by Thomas Mangan.